Sent out a Space email today to the organization, something I like to do to get people interested in the subject. I’ll post it below. After work I met Ash at Four Winds and then we headed to Dino’s for dinner. 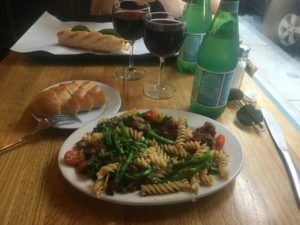 I had a sausage and broccoli rabe pasta – it was wonderful.